Logroño has much more to offer than the world-class wines for which it's famous, and the atmosphere of the well-known Calle Laurel. 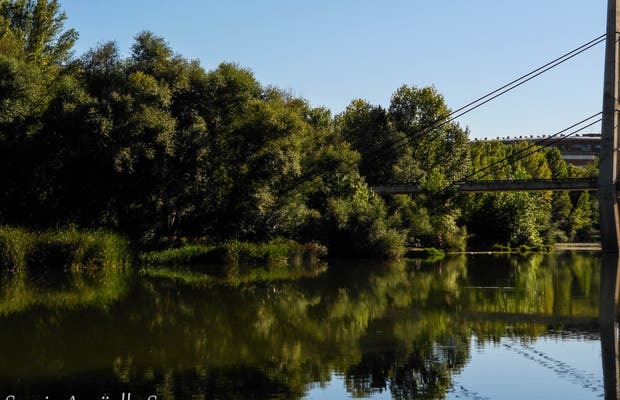 Take a look at this park, with more than 150,000 square meters beside the River Ebro, which flows through the centre of the capital of La Rioja. It is the largest urban park in Logroño, and is a great reminder of the joys of a smaller city over somewhere like Madrid. Ebro Park is located in the wonderful city of Logroño. This lovely park is a good example of the work done in recent years by the council to renovate degraded areas of the city and turn them into green spaces for the enjoyment of citizens. The park is approximately 150,000 square meters is one of the largest urban parks in Logroño.